"President Mitt Romney and Vice-President Joe Biden shivered in below freezing temperatures as they took the oath of office the White House, a culmination of the election of the most unusual White House partnership since when Federalist John Adams was elected President and his arch rival, Democratic -Republican Thomas Jefferson was elected Vice-President in 1796. Following the electoral tie of 1800, which ended being decided by the House of Representatives in favor President Thomas Jefferson over his running mate Aaron Burr, the 12th Amendment was adopted to correct the constitutional flaw in the Electoral College that resulted in the 1800 deadlock and the provision that the second place finisher in Electoral College became Vice President. Now the Election of 2012 has exposed yet another constitutional flaw that both President Romney and Vice-President Biden have asked congress to address through a proposed constitutional amendment which would ensure that candidates for President and Vice-President will always be elected from the same ticket." Impossible? Not at all. The Constitution actually provides for two ways that presidential tickets can be split up. The Electors could vote for a President and Vice-President of different parties. Another, and more likely scenario is that there is a tie in the Electoral College or a candidate doesn't get a majority. In that case the election for President is thrown into the House, with each delegation casting one vote, and the Senate decides the Vice-President. Still not likely to happen, right? There is more of a possibility than one would think. At the bottom of this page is an electoral college map I have crafted that results in a tie in the Electoral College between President Barack Obama and Mitt Romney. It's not an outlandish scenario at all. The swing states of Colorado, New Mexico, Nevada, Iowa and Minnesota all go to Obama. Obama is actually leading in all those states. Meanwhile swing states Florida, Virginia, North Carolina, Ohio and New Hampshire go to Romney. As Romney was the governor of neighboring Massachusetts, winning swing state New Hampshire would not be surprising, though he narrowly is behind there. Probably the longest shot for Romney is Ohio, but Ohio has gone Republican 2 of the 3 elections and some polls have showed him in the lead in that state. There is one final thing that has to happen to result in a 269-269 tie. Nebraska has to come through. Nebraska is one of only two states in the country (Maine is the other) which doesn't employ a winner-take-all system for divvying up electors. Maine has 5 electoral votes. One is awarded for the winner of each of the three congressional districts and two are awarded to whoever wins the state overall. It is not a far-fetched scenario that Obama could pick off a congressional district in Republican Nebraska. After all, in 2008 Obama narrowly won the second congressional district in Nebraska, the district which contains Omaha. As a result, Obama picked up one electoral vote from the state. Since many of the electors can vote for whichever candidate they want in the White House, I always thought if there was a close vote in the Electoral College that many electors would be subject to "persuasion" in the form of promises of high level positions in the administration or maybe a nice ambassadorship...if they switched their votes. The experience of 2000 (when Bush led 271-266 (one elector abstained) in the Electoral College) showed that didn't happen. So let's say between the time of the election and the meeting of the electors in their individual states to cast votes, nobody has been persuaded to change their minds. The 269-269 split means there is no majority in the Electoral College, and for the 3rd time in history, the presidential election is to be decided by the U.S. House according to the 12th Amendment. Meanwhile, assuming the same 269-269 (there is no reason to think the votes wouldn't mirror each other), the Vice Presidential is to be decided by the U.S. Senate. In the U.S. House, the vote is conducted by each state's delegation casting one vote. Republicans have a large 32-15 control in state delegations (3 are split) and Romney would be a slam dunk victor in that venue. The Vice Presidential race is a different story. Democrats have a 51-47 majority in the Senate (there are two independents though they typically vote with the Democrats in organizational matters). 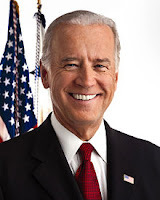 A party line vote for Veep, which party line vote would most assuredly happened, would result in Vice President Biden being re-elected. President Romney and Vice-President Biden. It's not a probability, but it's definitely a possibility.